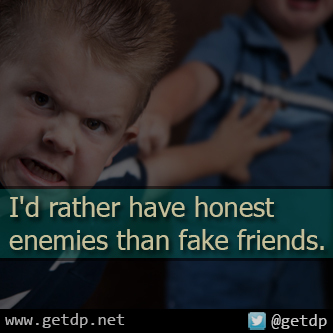 GETDP: I'd rather have honest enemies than fake friends. The bad thing about having fake friends is that they kill you more and faster than your enemies, because they know all your weakness and you never watch your back when you pass them. But your enemies cannot get that close to hurt you be wise who you call your friends some of them are there just to destroy you.